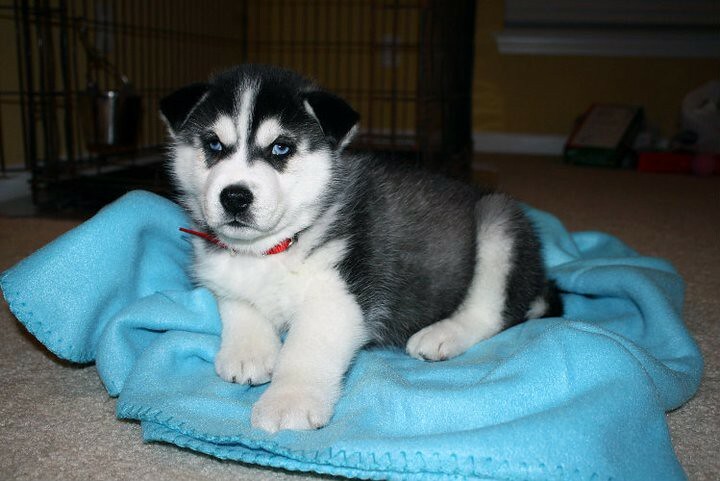 My wife and I got an eight week old Siberian Husky on Tuesday night. Alicia has wanted a Husky all her life, so she is pretty stoked about it. I never had a dog growing up- just cats- so there has been a steep learning curve for me. I guess they don’t come potty trained like cats do, haha. We named him Tomei- I was just throwing out random words while playing some COD and Alicia liked it, as did I, so it stuck! 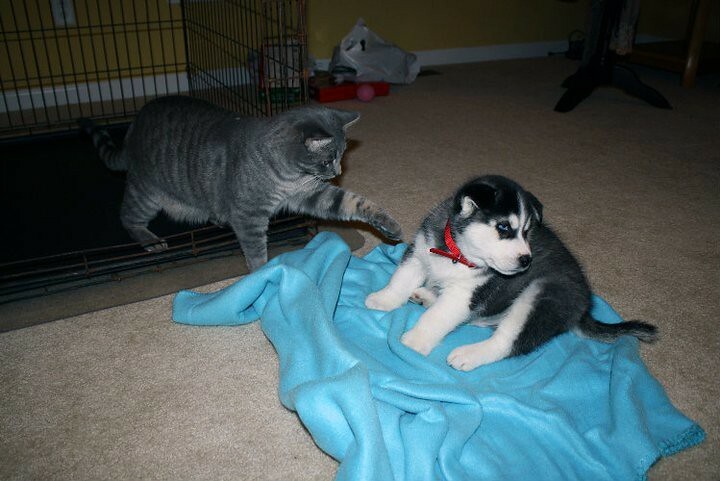 Thankfully he has been getting along with the cat so far. It’s pretty funny watching them chase each other around. I’ll keep adding pics every few weeks as he gets bigger and eventually passes the cat in size- shouldn’t take too long! Should have named him greg!! That is so cute man. I’m sure he would love to hang with the bearded dudes of Normal, IL! just don’t tell alyson you’re bringing that little Greg. I’ll never hear the end of it.